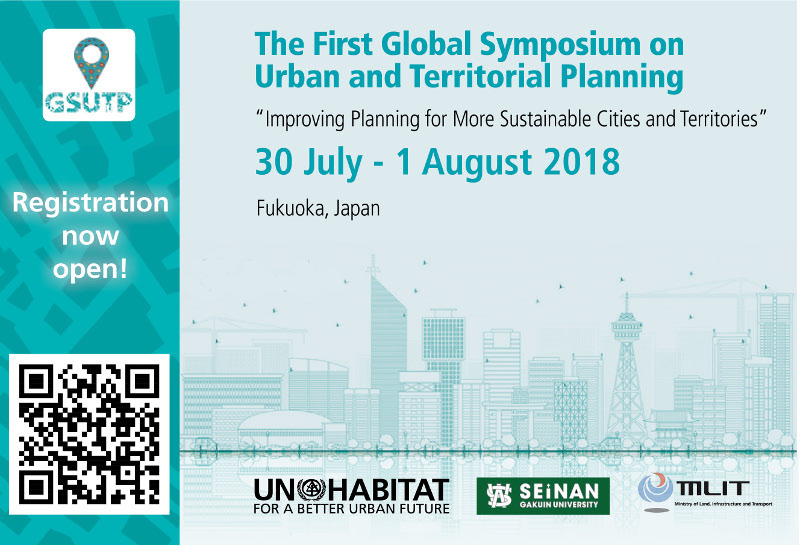 The first Global Symposium on Urban and Territorial Planning: “Improving Planning for More Sustainable Cities and Territories” is organized by the United Nations Human Settlements Programme (UN-Habitat) in partnership with the Ministry of Land, Infrastructure, Transport and Tourism (MLIT) of the Government of Japan, the City of Fukuoka and Seinan Gakuin University. This inaugural event for the International Guidelines on Urban and Territorial Planning (IG-UTP) of UN-Habitat will be a platform to explore ideas, experiences and opportunities for their implementation. Representatives from national governments and local authorities, planning professionals, and members of civil society organizations will come together to undertake evidence-based discussion and peer-to-peer learning on urban and territorial planning principles and practices. It will be followed by the launch of the Spatial Planning Platform, an initiative from MLIT and UN-Habitat introduced in 2017 as their contribution to the regional implementation of the IG-UTP. Should you require more information on the symposium, please visit the website at http://gsutp.urbanpolicyplatform.org. You may also contact the organizing team at andrea.oyuela@un.org for any questions or further information.